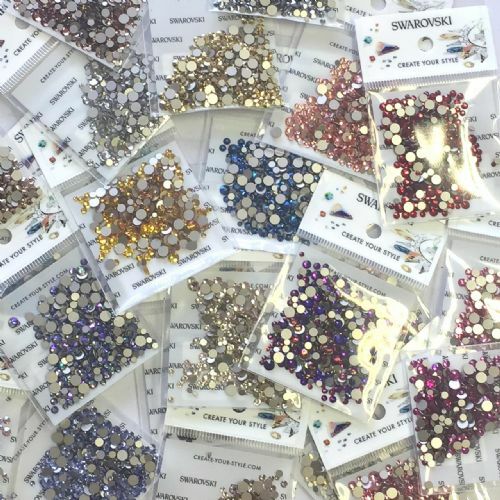 Mixed Pack of 300pc Swarovski Flatback Crystals Non-Hotfix Mix Of Sizes SS3 SS4 SS5. Crystal. Mixed Pack of 300pc Swarovski Flatback Crystals, Non-Hotfix, Mix Of Sizes SS3/SS4/SS5. Crystal. This mix of Swarovski crystals are perfect for Nail Technicians to use as infill/repair crystals.